First, make the furikake. Put the nutritional yeast, bonito flakes, sushi nori, salt and dried anchovy into a food processor and blend until it is a quite fine powder. Mix with rest of ingredients. Make a paste of seseame oil, water and furikake. Mix in the celery batons, making sure to coat the sticks evenly. 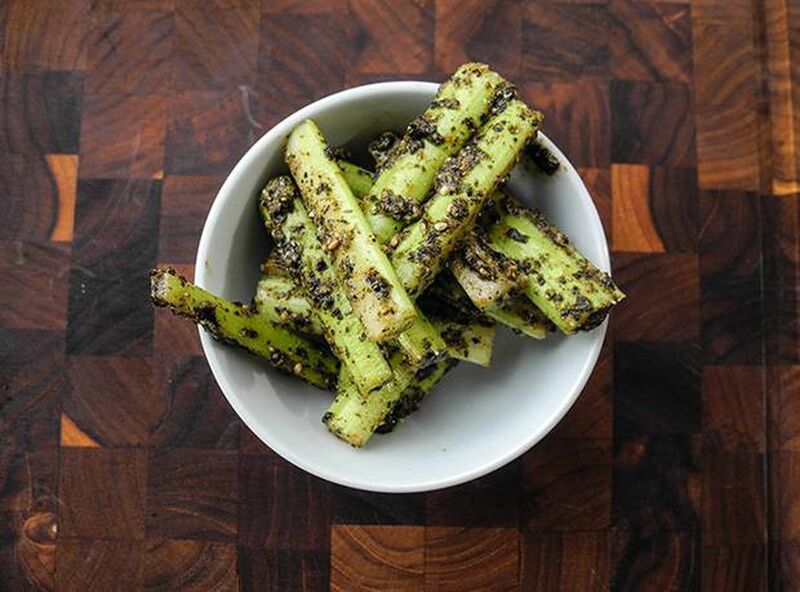 Taste: the dish should be quite salty and very umami with a lovely refreshing undertone of the celery. Add soy or more furikake to get the salt level you desire. Let sit for 10 minutes and then serve as a snack at a cocktail party or just before dinner. A Chinese-Romanian chef, Haan grew up in Toronto and studied at the North West Culinary Academy of Vancouver. He’s worked at stellar restaurants like Maenam in Vancouver, Enoteca Sociale in Toronto, and Kokkeriet and Kiin Kiin in Copenhagen. He currently consults out of Toronto. 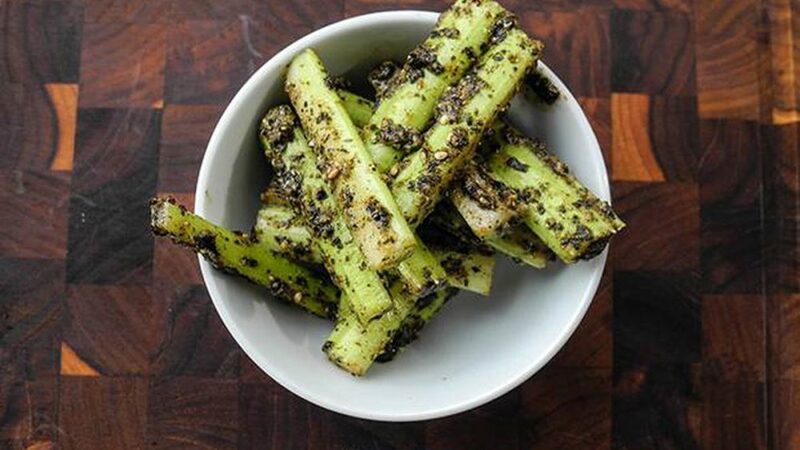 Need more easy Celery ideas? Check out our recipes section.